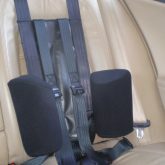 additional support to maintain good seating posture. 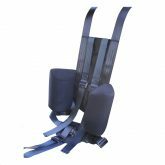 The Plus is based on our M28 Harness Support and can be upgraded to include Lateral Support Cushions and a Headrest where necessary. to our product services and they are available to order. • Provide postural support and positioning. • Help with centralised location within seating. • Aid comfort and confidence. • Velcro attached for adjustability. • For those who need added Head Support. • Help with centralised location. • Side wings to rest against. 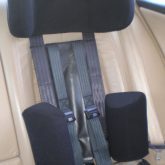 • securely located on original headrest posts.